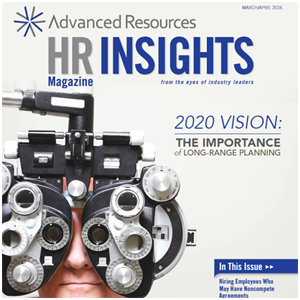 As always, the articles in Advanced Resources’ HR Insights cover a wide range of workplace and HR issues. The content in this edition is no exception, but also shares a common theme: thinking outside the box. People use this phrase all the time, and sometimes it comes across as meaningless fluff. But thinking outside the box—exploring options and ideas that aren’t obvious (and at first glance might even seem far-fetched)—can often be just what a company needs to jump ahead of its competition. Two other articles encourage companies to go against the grain by examining—and rejecting—some long-held beliefs about the workforce. If you have any Millennials working for you (or think you might in the future), take a close look at Ira S. Wolfe’s “Millennials: Myths and Facts” and learn why this generation doesn’t deserve the bad rap it often gets. And in “Busting 5 Common Productivity Myths,” Stephanie Reyes examines why taking frequent breaks is good and why using personal social media accounts while at work isn’t necessarily bad. Just as sticking with the old because “we’ve always done it that way” isn’t ideal, doing something new just for the sake of doing something new won’t lead your company to success, either. The key is to take a good look at the status quo and your goals, and then open your mind to new ways of closing the gap between them. 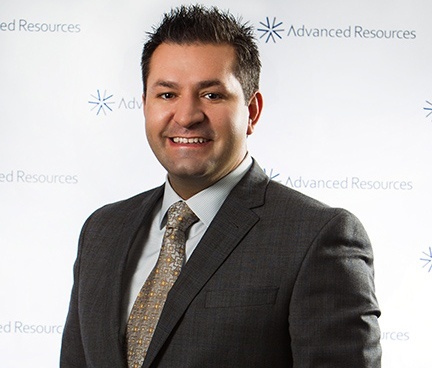 At Advanced Resources we can help you identify those possibilities, so give us a call when you’re ready to explore them!